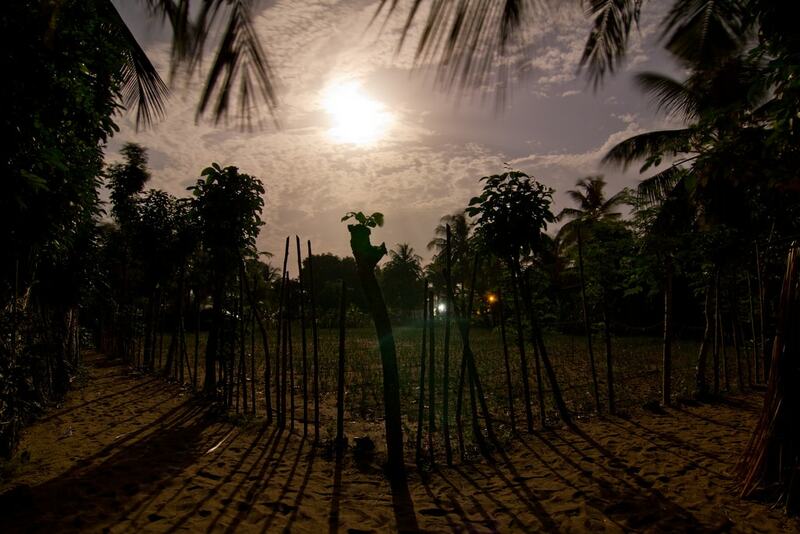 Ghana may be developing quickly, but thankfully there are still plenty of places and pockets where it’s possible to pretend the frenetically paced and overly connected world doesn’t exist. 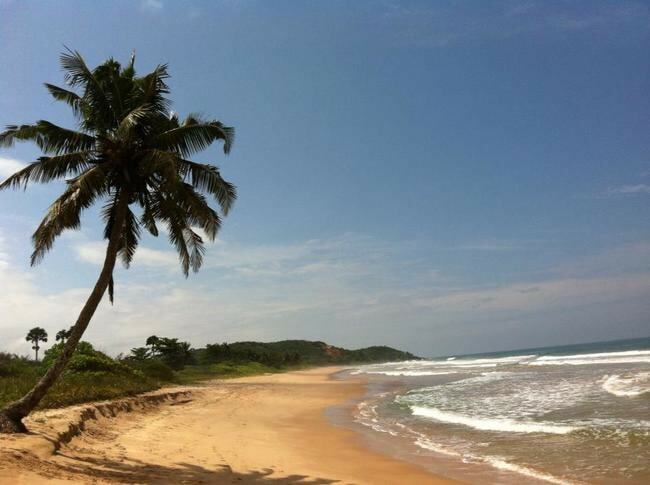 Here are some of Ghana’s best hidden gems. 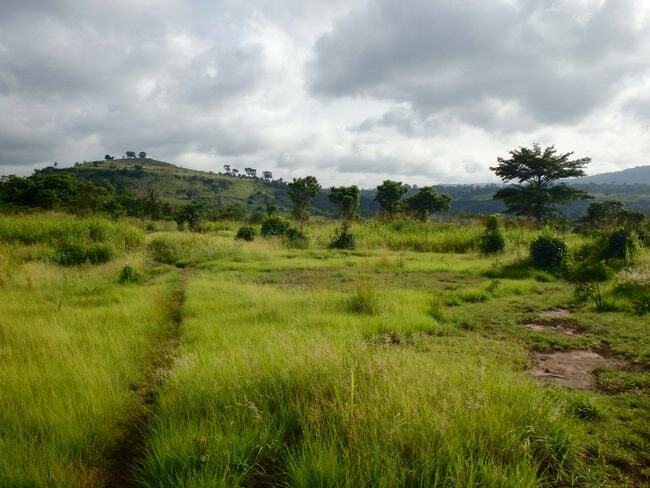 Nestled away in a verdant and forgotten corner of Peki Valley, Roots Yard, just beyond Akosombo, is a perfectly peaceful spot whose surrounding area is void of pretty much all western amenities, save for a few local stalls. Surrounded by gorgeous hills, relax at this family-run guest house where veggie and vegan meals are the order of the day, lovingly prepared by the proprietress. After you’ve walked the valleys and hills, in the evening relax with some locally brewed akpeteshie around the weekend bonfire. Rest deeply, accompanied by the sounds of nature, in one of the cozy, homemade structures. 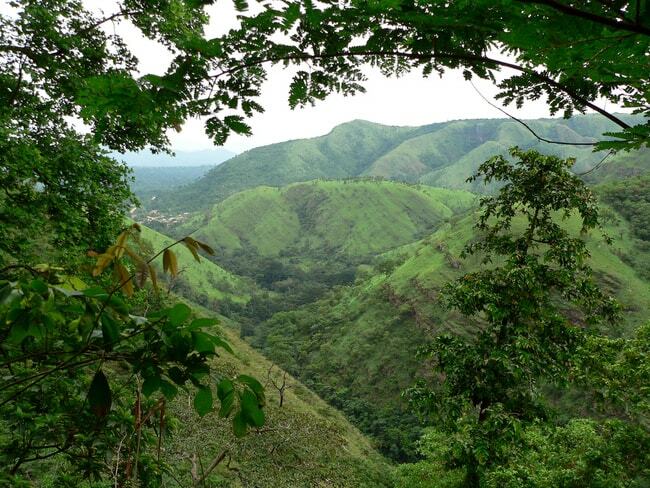 The home of Mount Afadjato shares a border with Togo and is one of the most lush areas in the country, about 25 kilometres (15.5 miles) from Hohoe in the Volta Region of Ghana. Temperate, with gorgeous mountain vistas, relax in one of several guest houses and visit the glorious Wli waterfalls, accessed after a hike through a dense and serene rainforest. For those who like a challenge, wake up early to climb the mountain. You have the option of doing a shorter one- or two-hour hike, or you can hike the whole ‘loop’ that can take up to six hours, depending on how fit and fast you are. The reward for your exertions is three levels of waterfall, with barely a person around, and the tremendous views across the mountains into Togo. Off the Accra-Kumasi highway and nestled deep in the Bobiri forest in a supremely undisturbed location, is this delightful research centre. Surrounded by forest hiking trails, you’ll find a butterfly sanctuary as well as quaint lodging, so you can maximise your time in this hidden spot. Guided tours and abundant information about the butterfly species and the work of the organisation are also available. Hike the forest, identify rare tree species and observe the butterflies that thrive in the midday dryness. Only a forty-minute ride outside Accra is the peaceful savanna of Krobo, where antelope run free and the entire area is surrounded by cheeky baboons. Hiking and biking trails are available to tour the area, the highlights being its numerous hills and rock formations, interspersed with caves that were once the province of the Krobo people, who used the area to hide from rival tribal invaders. A great day out, there aren’t any major structures around for miles, as you walk, bike and explore the old caves and rocks. 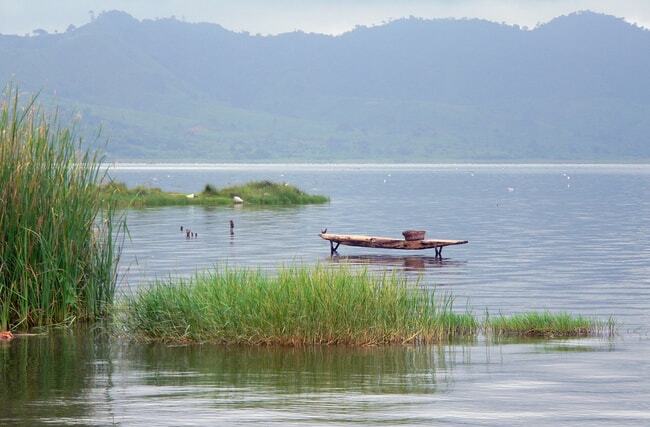 The product of an ancient impact crater, thought to be over a million years old, Lake Bosumtwe is a serene haven in the Central Ghana region. The 10.5-kilometre (6.5-mile) wide lake is surrounded by rainforest and imbued with spiritual significance for the Ashanti people, who believe that the souls of their dead come to this location to bid farewell to the god Asase Ya. Folklore aside, this is a relaxing spot where you can swim, canoe and go fishing – though only from special wooden planks due to the spiritual nature of the lake and out of respect for the dead. 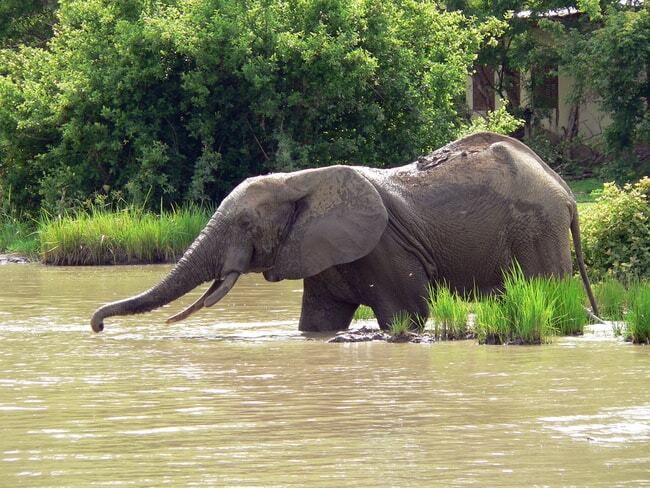 Far north, and away from any significant civilisation, is Mole National Park, a safari haven and Ghana’s largest wildlife refuge. Two rivers flow through the large reservation and it’s filled with flora and fauna, including elephants, monkeys, waterbucks, hippos, buffalos, crocodiles and baboons to name a few. 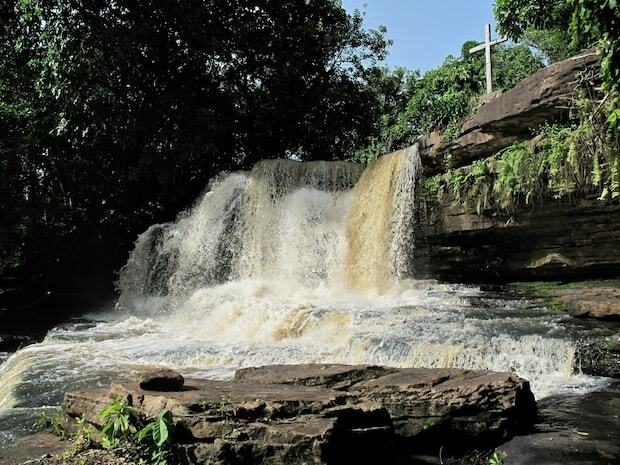 In colonial times, this waterfall was known as Sanders Falls, a gorgeous and not oft trodden spot, located on the Pumpum River, which is a tributary of the Black Volta. Past Kumasi on the Kumasi-Tamale road, Kintampo is a small, temperate town containing a vital forest where the three-tier waterfall is hidden. It will take a bit more effort to get to the waterfalls than other attractions, but it will be more than worth it, as you may well find you have the whole place to yourself.